Months after adopting the city’s Climate Action Plan, the Del Mar City Council on Oct. 3 declared Del Mar’s interest in exploring the feasibility of Community Choice Energy. The council’s unanimous resolution enables the city to request energy-use data for Del Mar customers from San Diego Gas & Electric. The data is needed to potentially participate in a study with other North County cities to better understand the feasibility of forming a regional Community Choice Energy Joint Powers Authority. The council adopted the city’s Climate Action Plan in June, outlining how Del Mar can combat climate change. The plan serves as a comprehensive roadmap, with strategies the city could use to reduce its greenhouse gas emissions by 15 percent by 2020 and 50 percent by 2035. One of the city’s most significant strategies identified in the Climate Action Plan is the goal of working toward 50 percent renewable energy supply by 2020 and 100 percent renewable energy supply by 2035. Worden and Councilman Don Mosier requested the item be placed on the council agenda. As liaisons to the city’s Sustainability Advisory Board, both councilmen attended two meetings that were sponsored by the city of Encinitas and included elected officials and staff from other North County cities. energy supplies within and across jurisdictions to satisfy energy demands while continuing to operate with an existing electricity provider for transmission and distribution services. In June, the subcommittee held a second meeting with representatives from Del Mar, Solana Beach, Carlsbad, Escondido, Oceanside and Poway, along with a SANDAG representative and members of the public, to continue to explore a potential partnership. Potential partnering cities have expressed interest in completing a feasibility analysis to better understand the feasibility of forming a JPA. Before determining resources for such a study, however, each city must first request electronic load data from SDG&E. The cities of Encinitas and Oceanside have already passed similar resolutions. 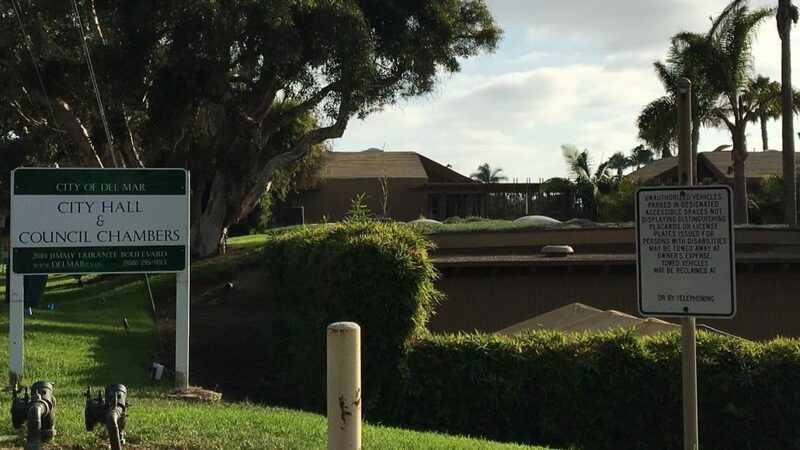 A similar resolution is on a future agenda for the Carlsbad council. A step ahead, Solana Beach is already looking to create the county’s first local power program and has been searching for a service provider to make that possible. The city recently received proposals from three companies interested in helping Solana Beach create a Community Choice Aggregation program. Worden added that experts have said communities need about 60,000 or more meters to have a viable Community Choice Energy program. Del Mar only has about 2,000 meters, he said. The load data would give the city accurate information. “So we’re like the small fry,” he said. “We’re hoping our neighbors will get together and buy a big, fancy car and we can sneak in the backseat and ride in their car. Del Mar Council Discusses Community Choice Energy, by Kristina Houck, Del Mar Times, October 6, 2016. Community Power Aggregator Takes Big Step Toward Reality Community Choice Energy. Coming Soon to You?